As one of the biggest investments, you will ever make, buying a property is a pretty important decision and one you want to get right. Harrison’s Solicitors are here to guide you through the entire process, meaning you can focus on the other things like finding the right location, getting packed and sorting the kids out, leaving the legal necessities to us. A good solicitor will always make sure that you understand the process, breaking down any complicated legal jargon. It is important that you know exactly what you are agreeing to when you purchase a new property. Harrison’s Solicitors are here to help you every step of the way. We are locally based with offices in Reading, Caversham, and Woodley so will never be far away. For more information on our conveyancing service, do not hesitate to contact us on 0118 321 2979. 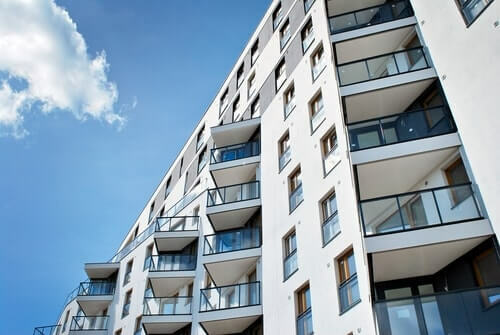 Freehold and leasehold are both types of housing tenure. Housing tenure refers to the financial arrangements under which someone has the right to live in a house or apartment. The most frequent forms are a tenancy, in which rent is paid to a landlord, and an owner-occupancy. Mixed forms of tenure are also possible. A leasehold property is a property where ownership of the property is for a fixed period of time (a lease) and is carved out of a freehold. When the fixed period expires then ownership of the property returns to the freeholder. Lease lengths vary but most common leases are usually long term – often 90 years or 120 years and as high as 999 years – but can be short, such as 40 years. Mortgage lenders like there to be at least 50 years left at the end of a mortgage term (i.e. 75 years in total). It can be difficult to sell or remortgage your home if there are less than 80 years left on the lease. A series of Government acts have given leaseholders protection against short leases, by giving them the right to extend their lease or the right to buy the property – but this can be very expensive. 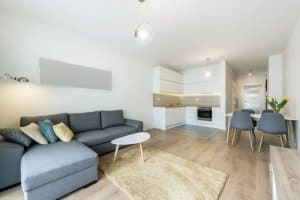 You may want to extend your lease to make your property easier to market and sell, or you may be the freeholder and have received a formal request for a statutory lease extension. Either way, you are going to need specialist legal advice. Harrison’s Solicitors are on hand to help with a dedicated property solicitor to guide you through the process. Whole houses are normally sold freehold – there is no reason for a standalone house to be leasehold though there is an increasing trend for leasehold houses, particularly with new build homes, so check before you buy. It will usually state quite clearly in the information if the property is freehold or leasehold but if it does not, this is something Harrison’s will check for you. Commonhold is a variant of freehold, created by the Leasehold Reform Act of 2002, which overcomes some of the worst aspects of leaseholds. Commonhold is where a multi-occupancy building is divided into a number of freehold units, so each individual flat owns its own freehold. The common parts (staircases and hallways etc) are owned and managed by a Commonhold Association, a company that is itself owned by the freeholders of the flats. This means there is no superior freeholder, but rather the owners of the flats manage the common and external parts of the property jointly. This protects people both from greedy landlords and from the problems of short leases. But, as with any form of community ownership, problems and conflicts can arise between members of the Commonhold Association. Moreover, only about 15 to 20 commonholds have been completed in the UK. If you have any further questions please do not hesitate to contact Harrison’s Solicitors. We will provide you with a dedicated solicitor who will guide you through the whole process of buying or selling a property. Our transparent fixed fee allows you to budget from the outset and if the house sale falls through then our guaranteed “no sale – no fee” policy has you covered. Contact one of our three local offices listed below.